Just days before the release of Apple's new flagship phones, Chinese Internet users have delivered photos and videos of the new devices' retail packaging. 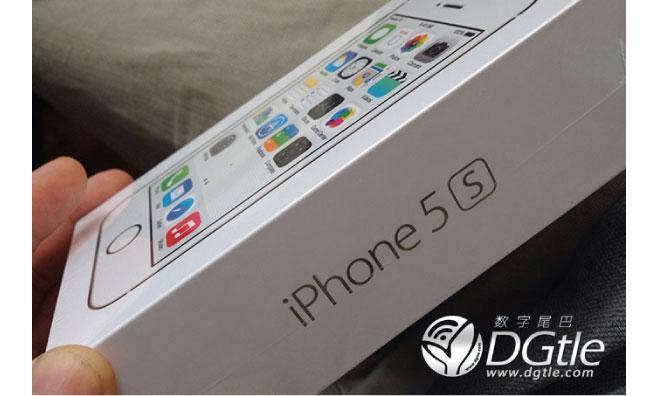 The iPhone 5s box, according to images posted by a user of Chinese forum DGtle.com, follows the familiar iPhone packaging formula in use since the original iPhone  a rectangular box, slightly longer and wider than the phone itself, with "iPhone 5s" on the side and a head-on product photograph on the box lid. In a slight departure, it appears that the boxes for all iPhone 5s colors will be white rather than color-matched to the device. The retail package  which, based on the box's Chinese "hanzi" markings and the included United States-style wall charger that distinguishes them from phones bound for Hong Kong, indicates that these devices are for mainland Chinese consumption  also includes a Lightning-to-USB cable, a Lightning-to-microUSB adapter, a pair of Apple EarPods, and the wall charger. Separately, an unboxing video sourced from China's Weibo microblogging service and first reported by Italian blog HDBlog.it purportedly reveals more details about the iPhone 5c, though key divergences from Apple's listed package contents cast doubt on the clip's authenticity. Featuring a similar design to that of the iPod Touch with a clear plastic shell and a protective plastic wrap that is imprinted to mimic what the screen would look like were the device turned on, inside the box is a Lightning-to-USB cable, a Lightning-to-microUSB adapter, and the wall charger. Notably absent from the packaging in the video are Apple's EarPod earphones, which Apple China lists as coming bundled with the phone.